Are you part of a Financial Service or a trading Firm? Or an online broker? If you are considering moving your Forex trading operations online quickly, easily and without excessive cost or if you feel limited in what you currently offer your customers then becoming a white label partner with BullsEye Markets is an ideal solution and allows you to offer your customer much, much more. 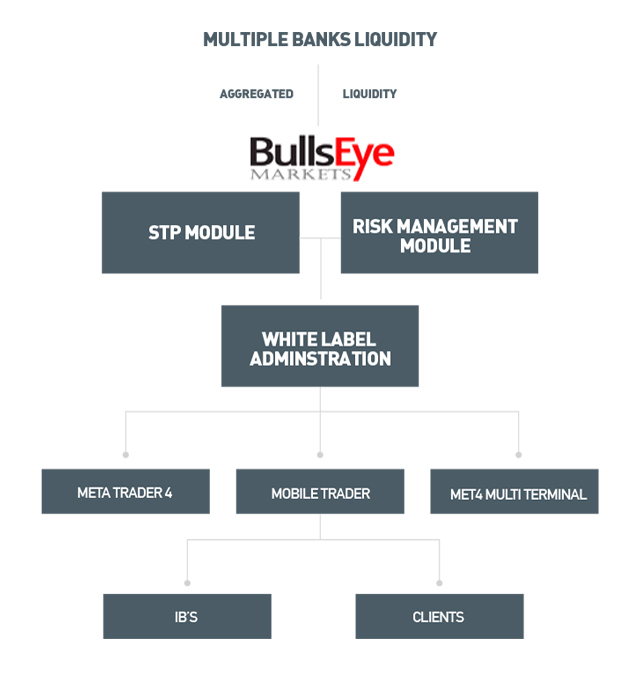 Becoming a white label partner with BullsEye Markets provides institutions of all types the best chance to truly establish themselves in the world of investment. Taking up this opportunity means you will be provided with an individual platform, complete with your own brand or company logo. It is worth noting that becoming a white label partner does not mean you are alone with your new technology. BullsEye Markets is dedicated to providing high quality customer service to all our clients. We are easy to communicate with, highly knowledgeable and available at times when other customer service operators are not.